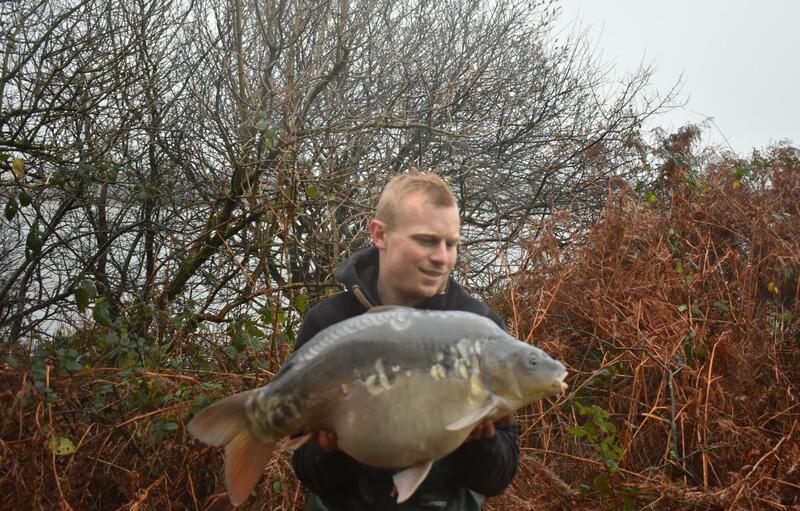 Ricky Lawrence caught this stunning 24lb Mirror from Upper Tamar Lake, on the Cornwall and Devon border. 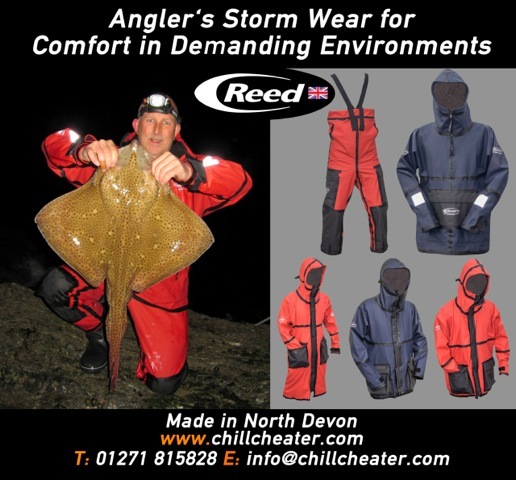 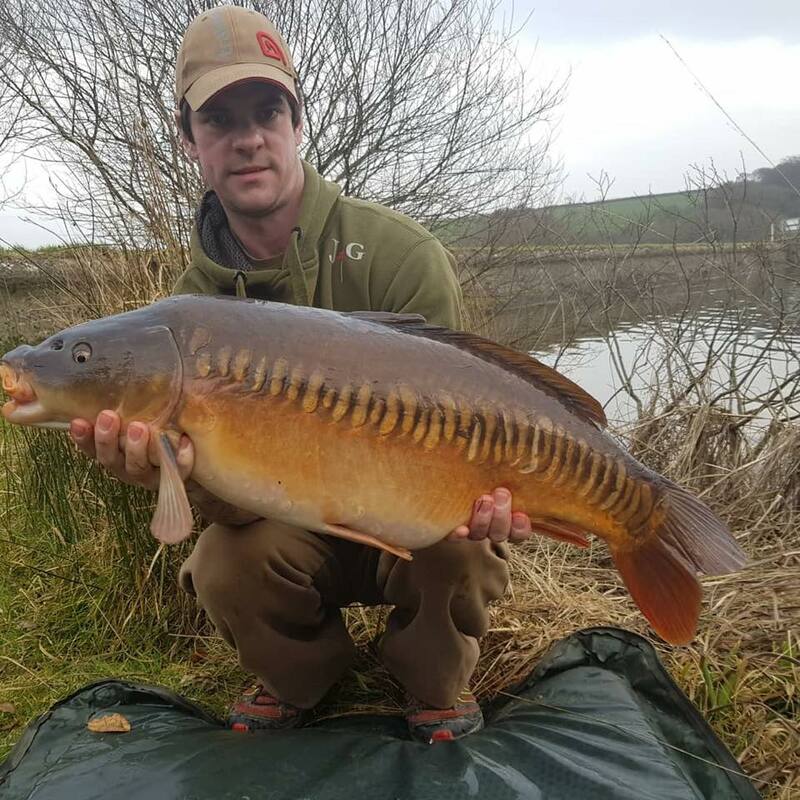 Ricky fished during gale force winds and rain to tempt the fish which was stocked in 2017 at 21lbs and is known as ‘Flower’. 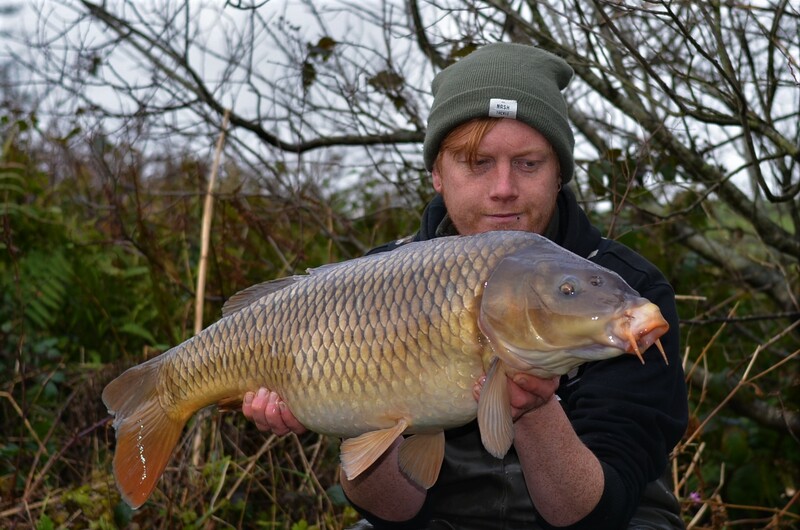 the fish took a liking to a sticky krill boilie fished off the back of the wind. 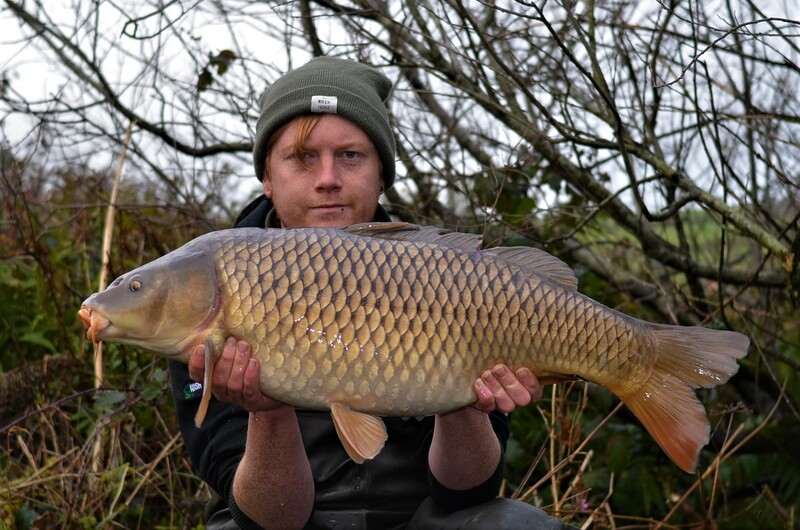 Chris Hudson who caught this cracking 24.10 common from day ticket water Jennetts at the weekend. 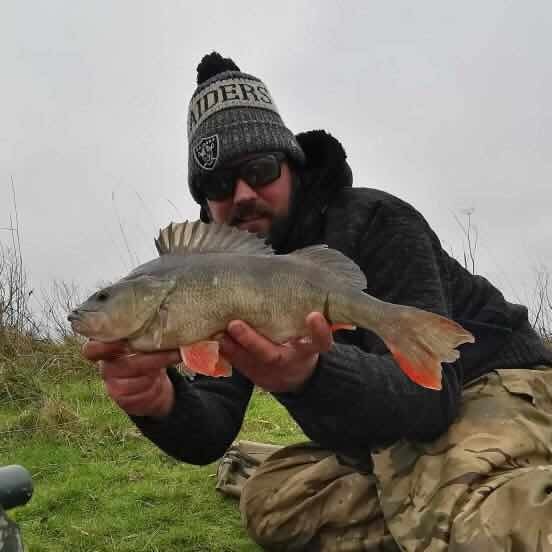 Ryan Willshire from Bude has been back among the action on Upper Tamar Lake on the Cornwall and Devon border. 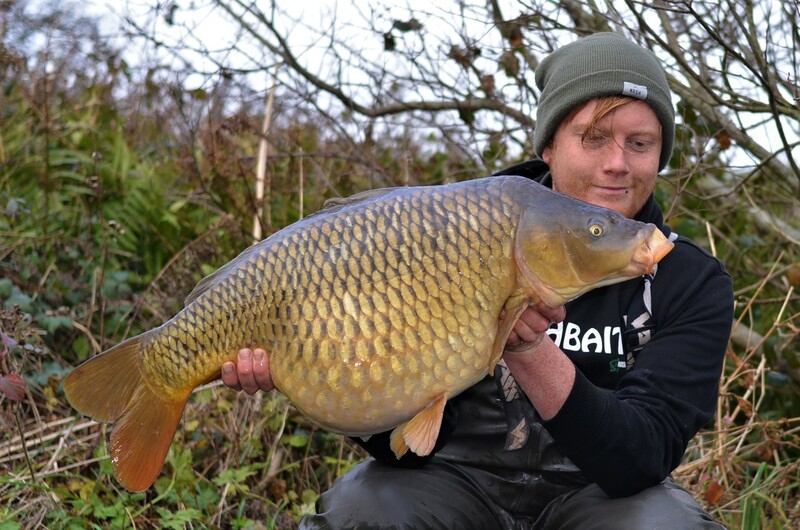 This 27lb 2oz common was the highlight of a two fish catch at the weekend. 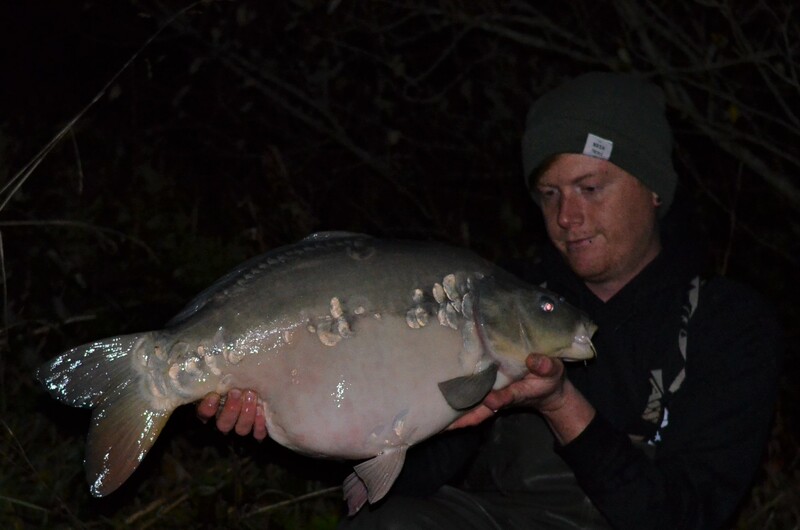 Mainline IB boilies doing the business for Ryan again! 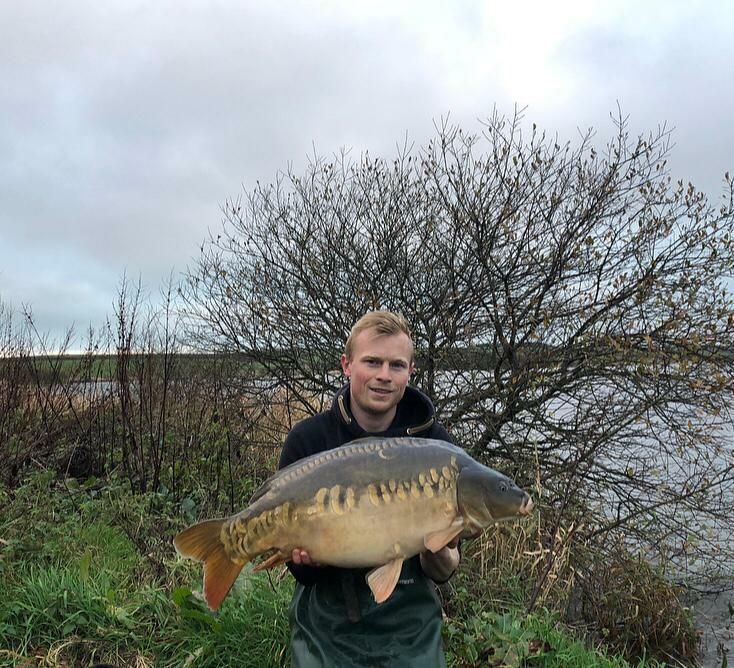 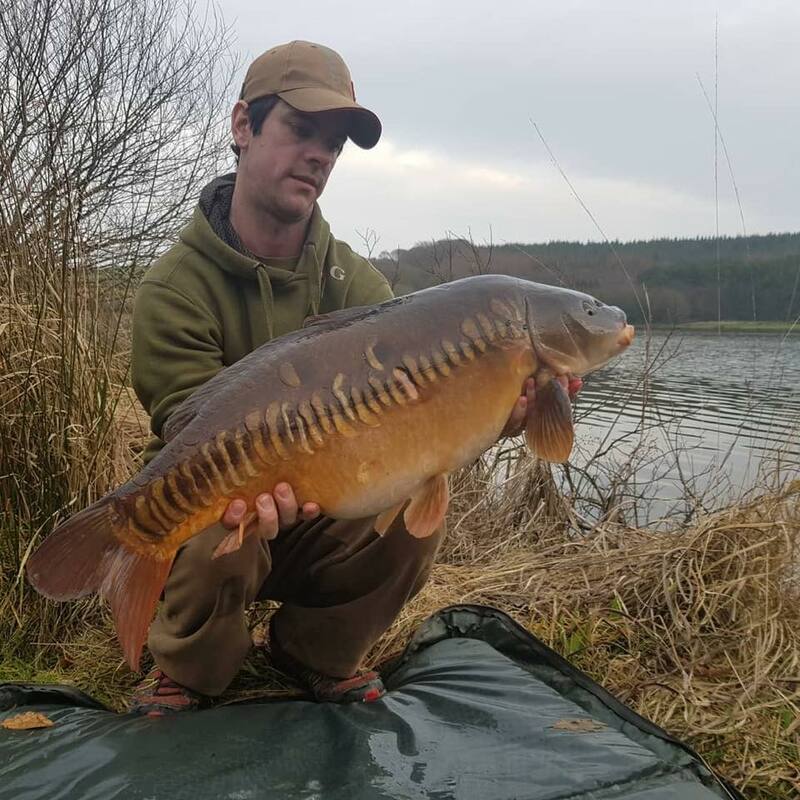 Aaron Jones banked this stunning mirror carp of 20lb 1oz from Melbury reservoir the fish was tempted using the ever popular Mainline cell boilies. 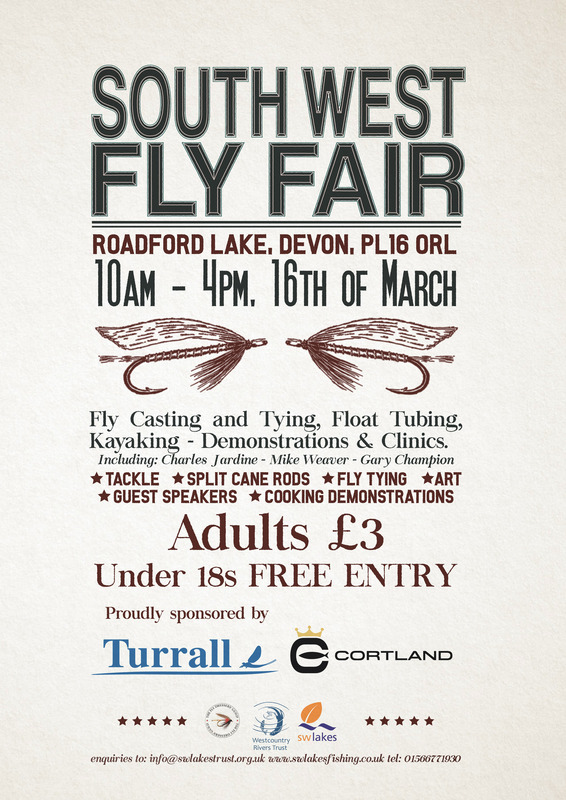 The Roadford Fly Fair is a very popular event at the Start of Spring coinciding with those first forays to the waters edge in search of wild trout and salmon. 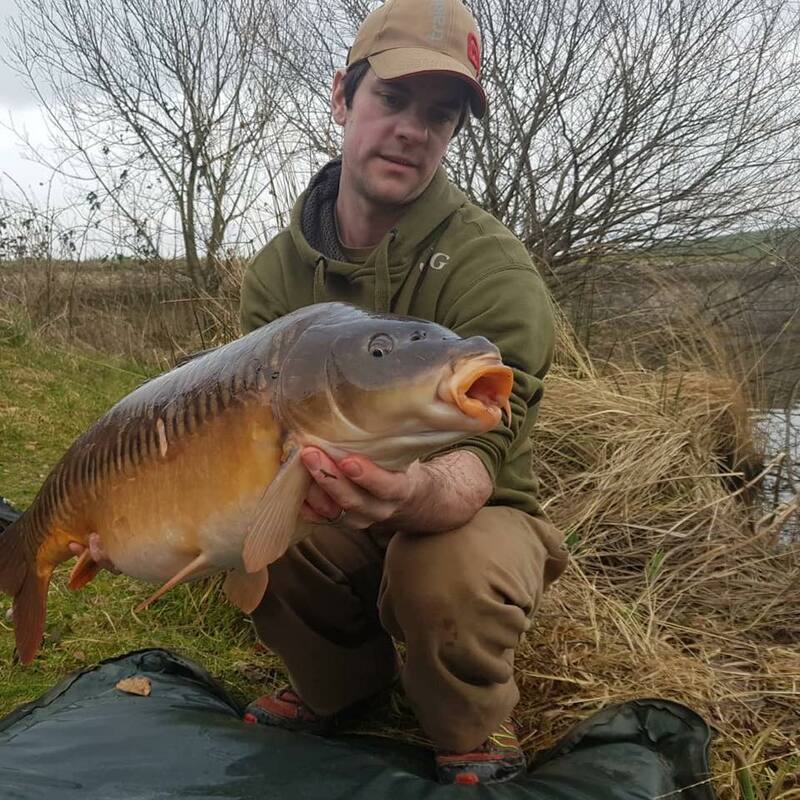 Bude anglers Chris Hudson and Matt Pepperell enjoyed a great session at Upper Tamar lake on the Cornwall and Devon border over the weekend landing 8 carp from the Lookout Tower swim. 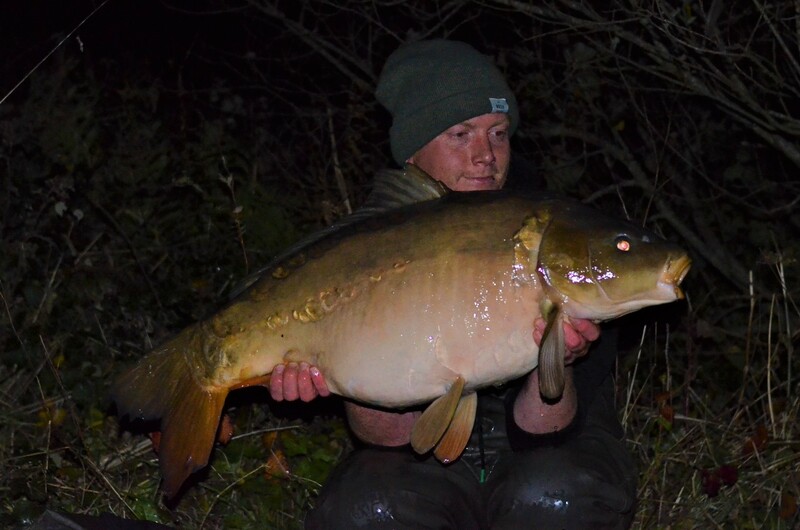 Chris had this cracking 24lb 1oz mirror that was stocked in 2017 at 22lb. 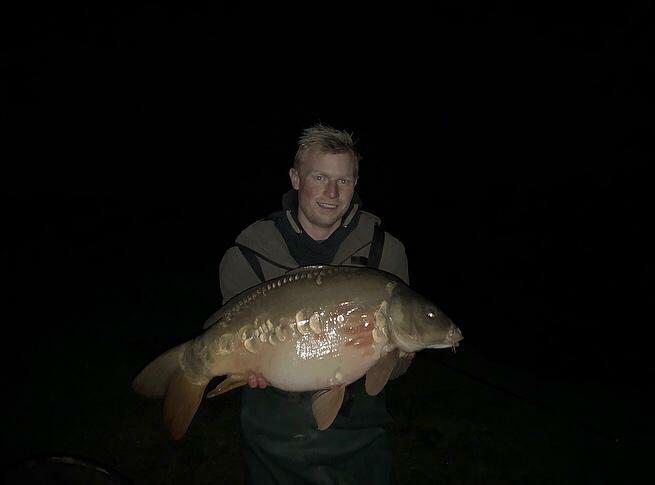 The majority of fish were mid doubles. 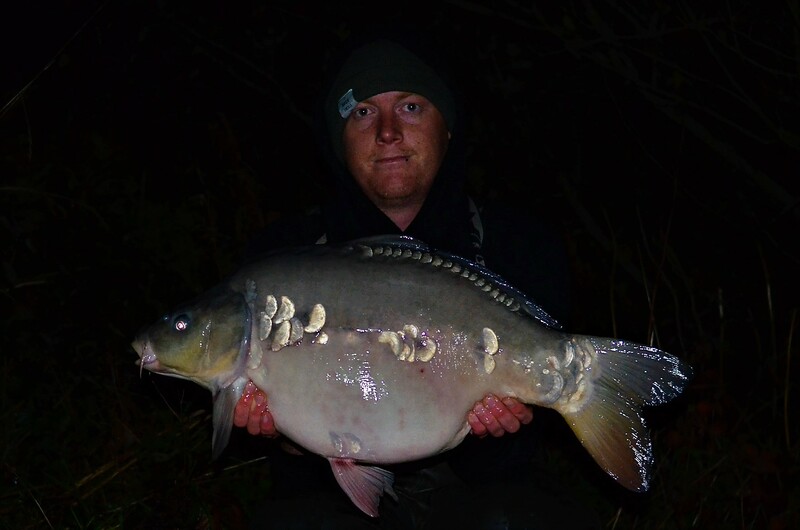 All caught on CC Moore Live system with white pop ups fished over the top. 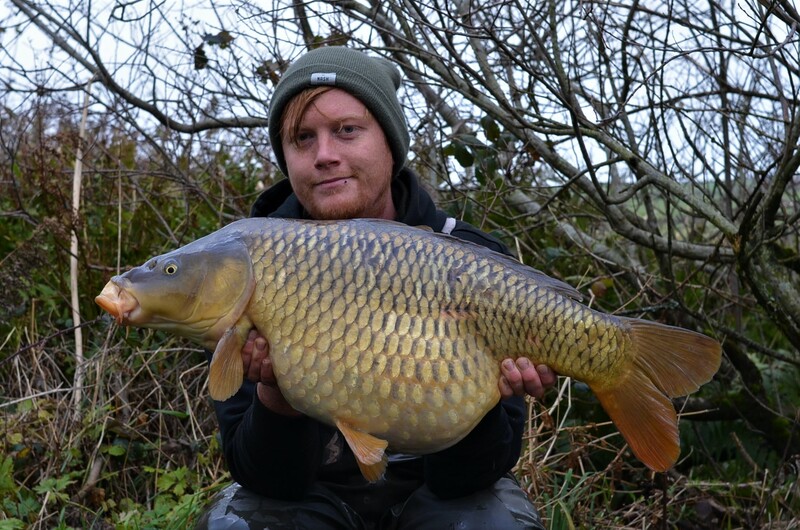 Ryan Willshire from Bude has now had six different 20lb plus carp from Upper Tamar in two weeks! 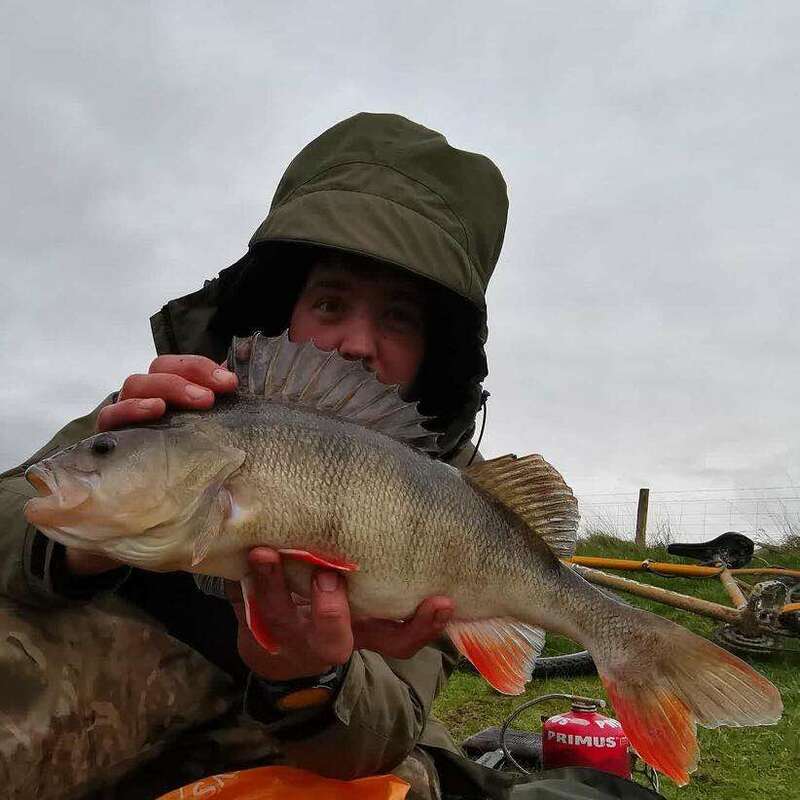 This time Ryan braved the awful weather and fished the Lookout Tower swim which produced three fish. 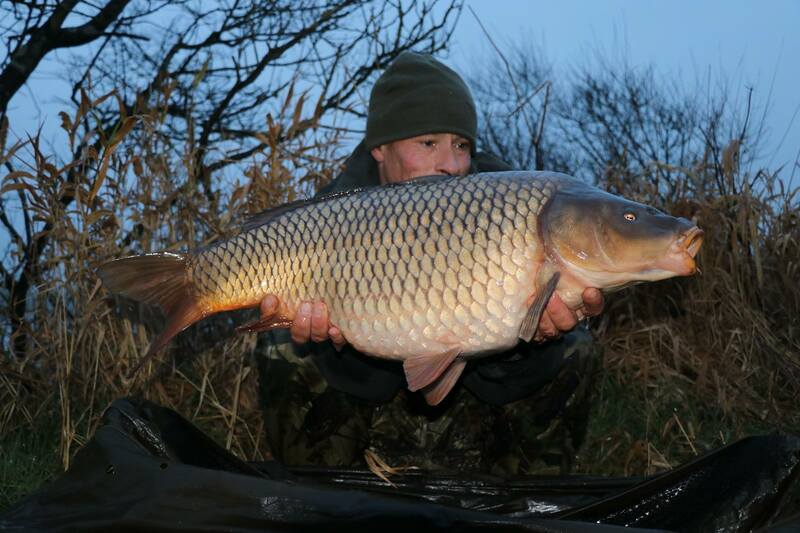 A cracking common of 23.04, a fish known as ‘Steve’s Mirror’ which was 21.04 and another mirror of 19.00. 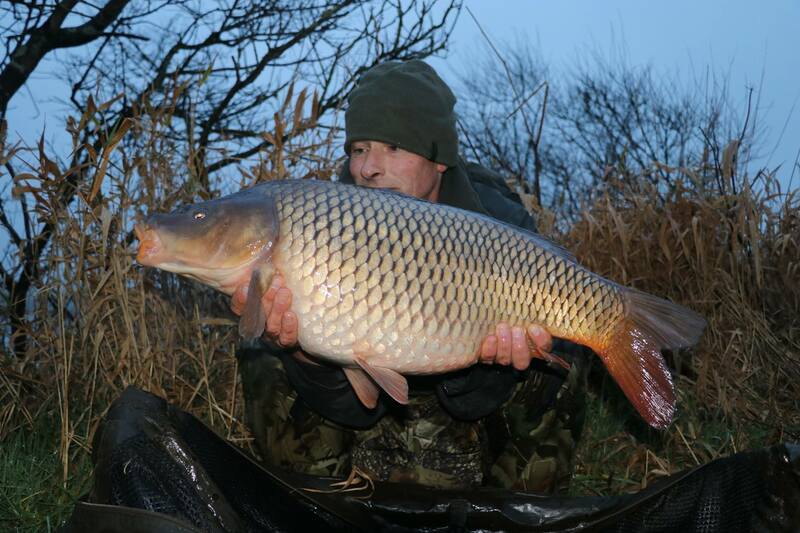 The two mirrors fell to Mainline IB pop ups and the Common to pop up corn and all over a bed of Mainline Hybrid boilies. 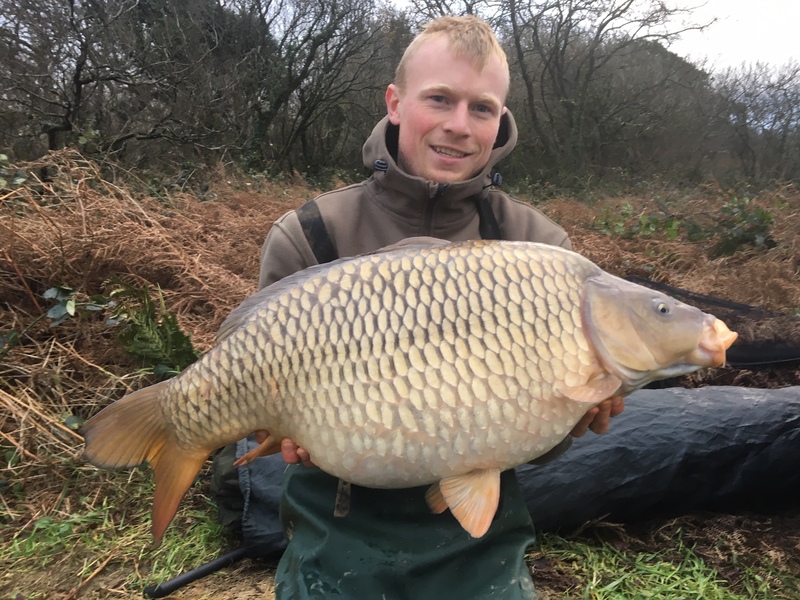 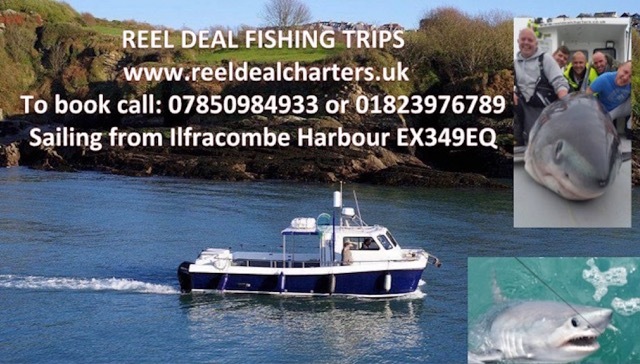 Aaron Bunning continued his great form on Upper Tamar lake on the Cornwall and Devon border. 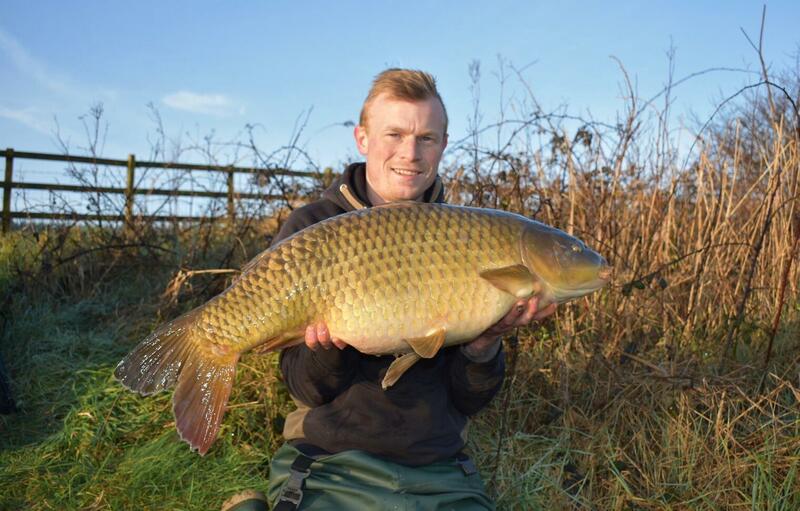 Aaron caught two carp on his most recent visit, one chunky common at 23lb 12oz and one long lean common at 19lb 14oz. 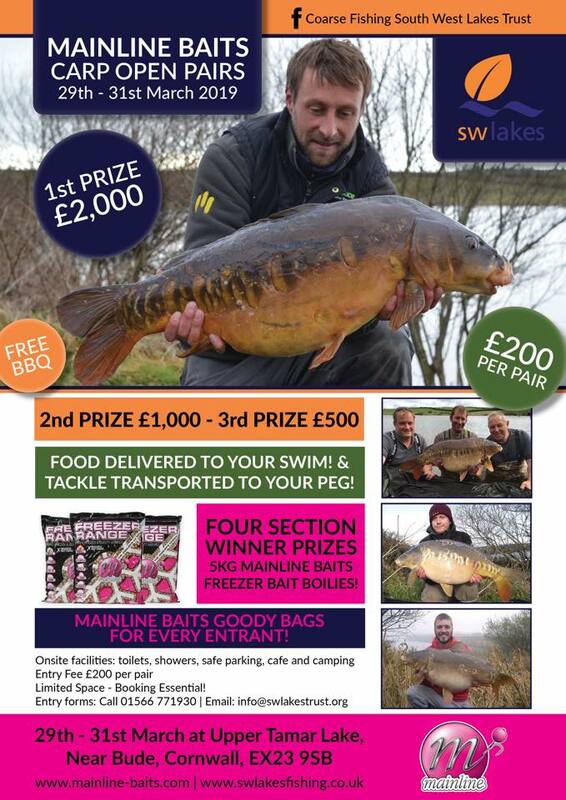 Both fish fell to 20mm Scopex Squid Wafters tipped with fake corn over a scattering of matching freebies. 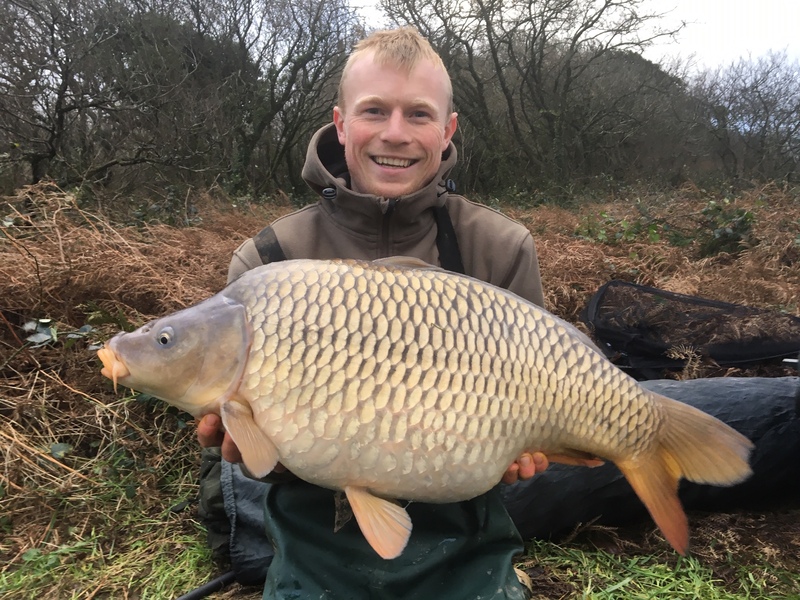 Nigel Woods had four Carp from Upper Tamar the largest was a common of 19lb 8oz and this was backed up by two 13lb commons and a cracking 12lb 4oz Mirror. 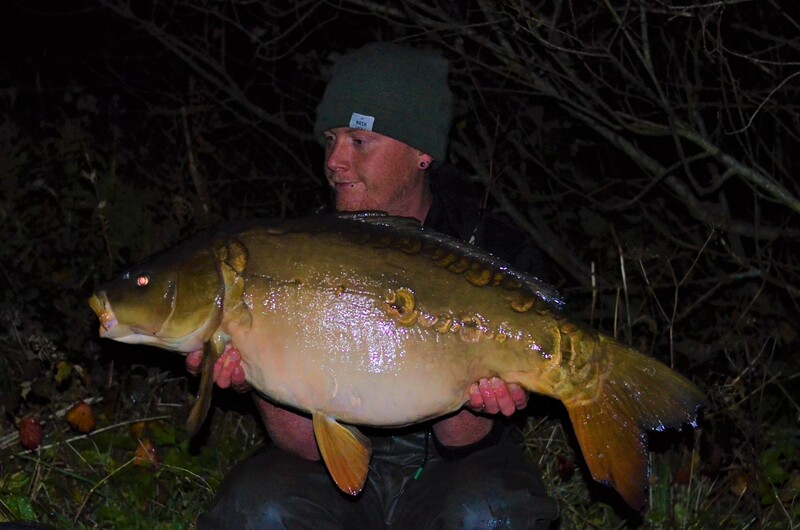 Mainline Cell bottom baits with a wafter hook bait were the successful tactics for Nige…. 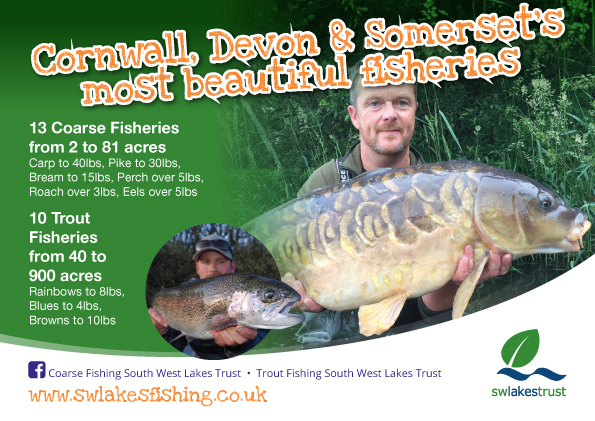 Our massive stocking plans at Upper Tamar have started! 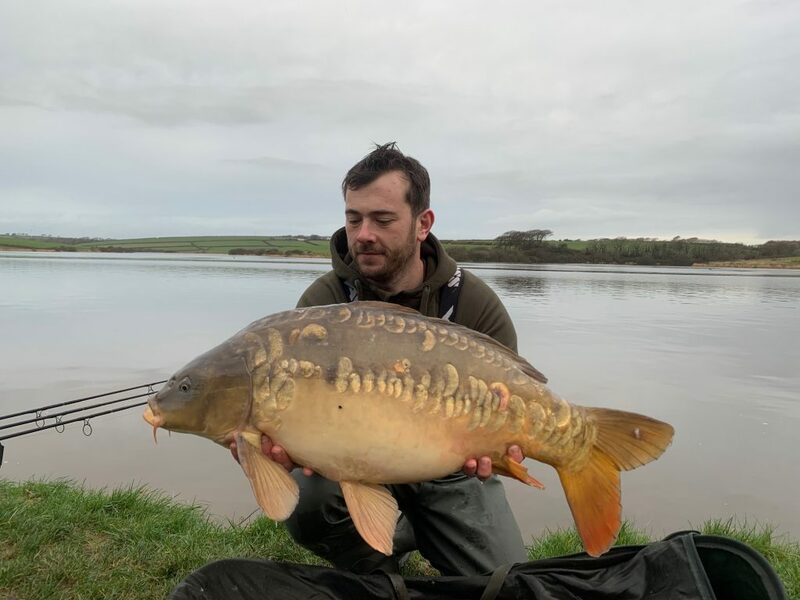 (Below) Aaron Bunning continued his fine form at Upper Tamar Lake, Near Bude, on the Cornwall/Devon border. 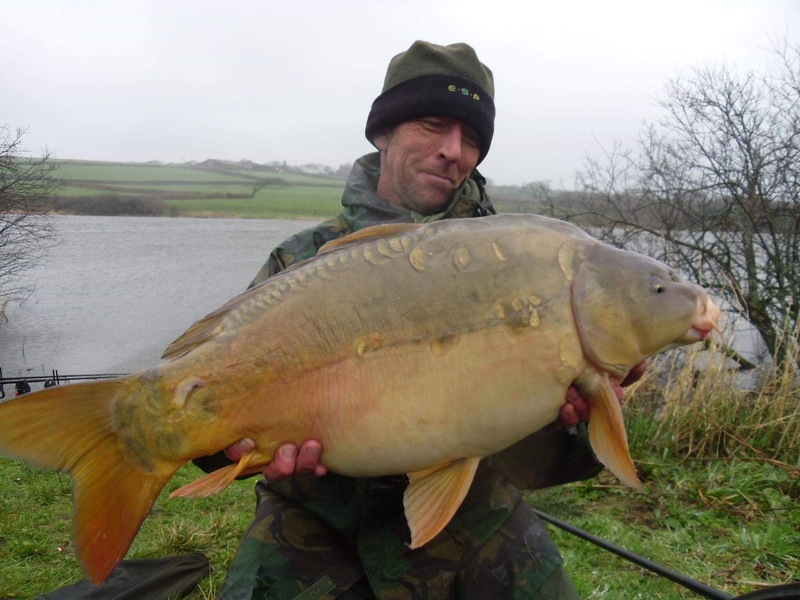 He caught one of the most sought after Carp called ‘The Peach’ at 30lb 8oz. 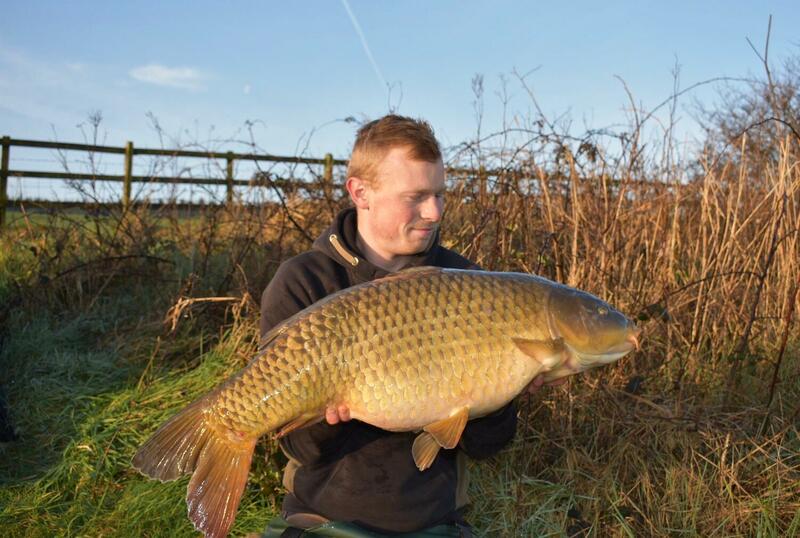 This was the second time in a year Aaron has managed to catch the fish from the 80+ acre venue. 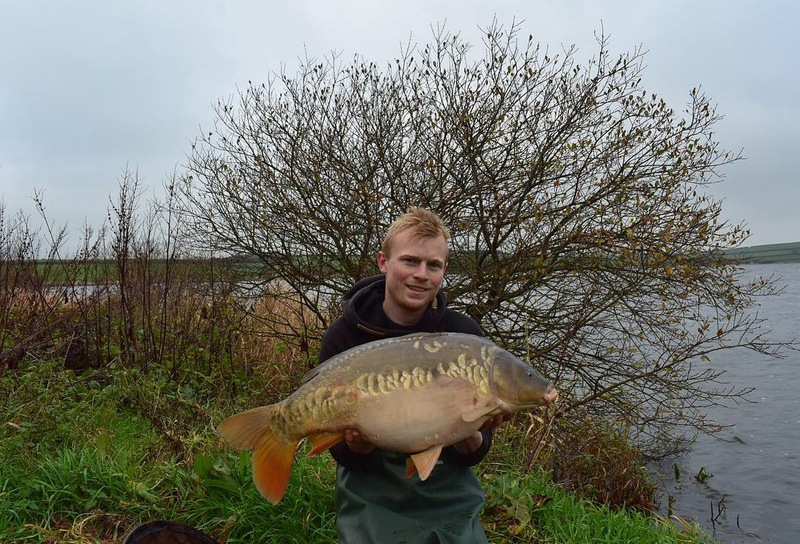 Aaron also caught a newly stocked mirror carp known as ‘Steves Mirror’ which was 22lb 8oz. 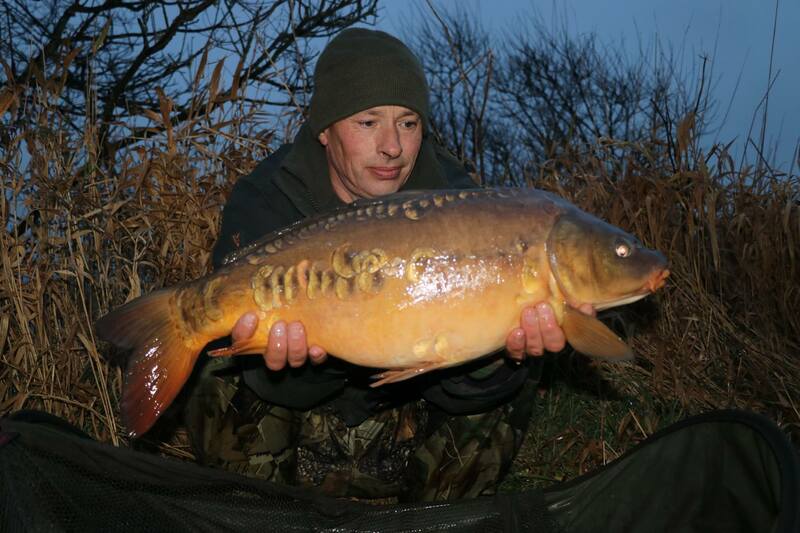 Both fish fell to 20mm Nashbait Scopex Squid wafters over a scattering of matching freebies.